Police officers strictly enforce Kentucky's driving under the influence (DUI) laws, and getting pulled over and arrested for a DUI can lead to serious consequences in your future. Fortunately, however, police officers are required to follow specific constitutional rules when they pull someone over. 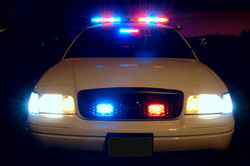 Key issues such as probable cause, blood alcohol content, and various intoxication testing methods often determine whether the officers followed the proper procedure in a DUI arrest. An experienced and hard-working Lexington KY criminal defense attorney will be able to advise you of your rights and ensure that the police officers did not violate those rights. A Lexington KY criminal defense attorney will also be able to hold the prosecution to their high standard of proof - proof beyond a reasonable doubt. If you (or a loved one) have been charged with a DUI in Kentucky (or in the Lexington area in particular), contact Lexington KY criminal defense attorney Breck Norment for a free consultation at 859-333-6270.